List Rules Vote up the Oscar memories that deserve to go down in history. The Academy Awards are cinema’s most prestigious prize. Although there are moments of humor, the ceremony is typically a buttoned-up, serious affair. An Oscar can change the entire life for a winning actor, or generate millions of extra dollars at the box office for a motion picture. However, you have to remember that the ceremony is live, and even though the people attending are mostly superstar Hollywood celebrities, they're still human. Here are the best Oscar moments of all time. These Oscar moments consist of a little bit of everything. If you’re looking for a list that concentrates on just the best acceptance speeches, you'll find that here. Of course, there are a few memorable speeches included, no Oscar list would be complete without a mention of Sally Field, and how much everyone likes her. This list also celebrates the awkward moments. Remember when John Travolta called Idina Menzel, "Adele Dazeem"? How about when poor Frank Capra walked up to the stage when Frank Lloyd was actually the winner? There are special Oscar moments on this list as well. From the wonderful time when John Wayne got to say his own kind of farewell to his colleagues and fans before passing away a few months later, to when Woody Allen made his lone appearance at the Oscars to pay tribute to his native New York six months after 9/11. There are also the unforgettable outfits - thank you Cher and Björk for being true fashion statement makers. 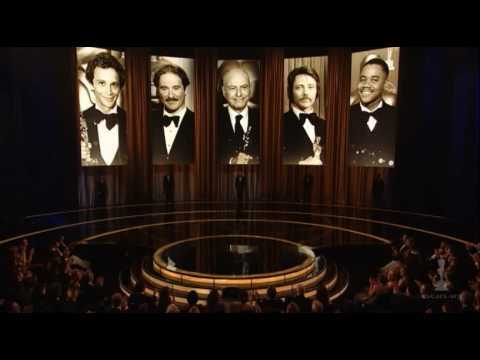 Make your voice heard, vote up the most memorable Oscar moments of all time. In an open-mouth-insert-foot moment for the ages, Tom Hanks accidentally outed his high school drama teacher while accepting the Best Actor Oscar for his performance as an AIDS-stricken man in the 1993 drama Philadelphia. Hanks lauded his drama teacher Rawley Farnsworth in the speech, calling him, "one of the finest gay Americans that I had the good fortune to be associated with." It all turned okay in the end and even sparked the premise for the 1997 film In and Out. 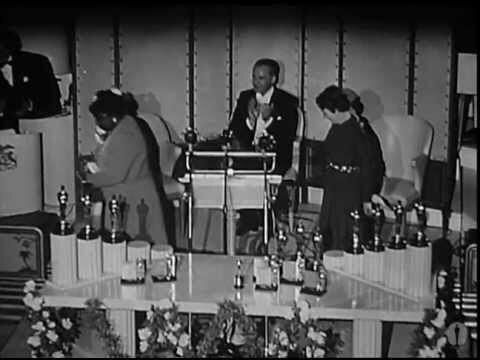 The 12th Academy Awards in 1940 proved to be a groundbreaking night. Hattie McDaniel, who played Mammy in Gone with the Wind, became the first African American to win an Oscar. McDaniel described the moment in her Best Supporting Actress acceptance speech as one of the happiest ones in her life. Charlie Chaplin, one of the first icons of film, and still considered one of the most innovative directors ever, made a joyous return to Hollywood after a two decade absence over alleged Communist ties. 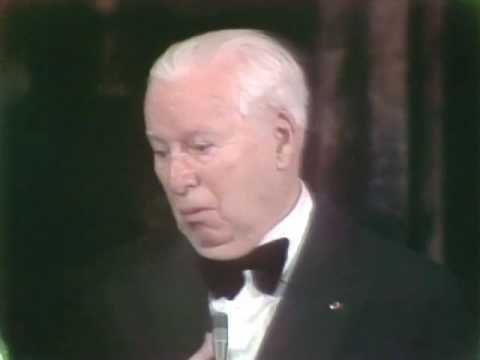 Chaplin received an honorary Oscar in 1972, along with an emotional 12-minute standing ovation. Heath Ledger's father, mother, and sister accepted the late Australian actor's posthumous Best Supporting Actor Oscar for his iconic performance as the Joker in The Dark Knight in 2009. The moment was obviously a bittersweet recognition for an incredible talent that passed way too young. The actor's father, Kim Ledger, stated in the acceptance speech, "This award tonight would have humbly validated Heath's quiet determination to be truly accepted by you all here - his peers - within an industry he so loved. Thank you."